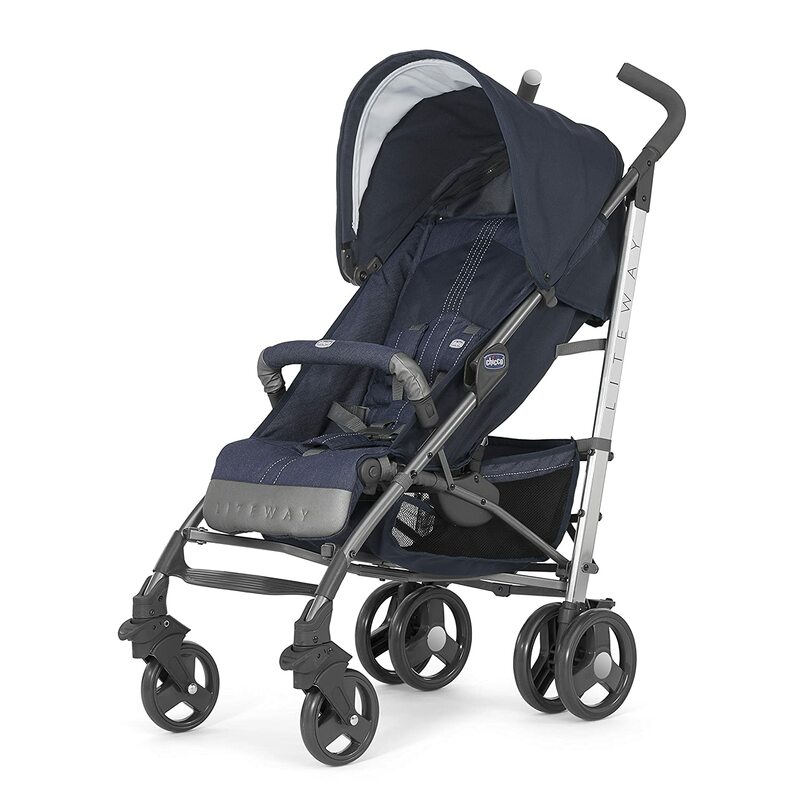 This contemporary and stylish stroller is suitable from birth to 15 kgs maximum/3 years. Light and compact when folded. The comfortable padded seat and backrest can be fully reclined with one hand and has 5 positions. It comes with a matching fleece foot muff featuring pockets. It can be zipped apart to form a leg cover. Comfort is further enhanced with an adjustable leg rest, detachable folding hood and rain cover. Handles with soft non- slip handgrips and the lockable front swivel wheels make manoeuvring easy. It is available in denim colour.